They look beautiful and would be place around the house. 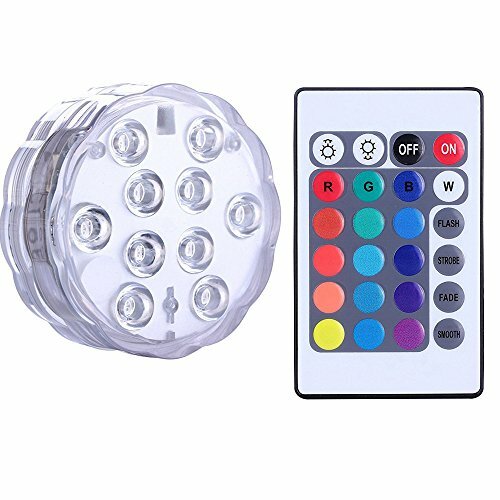 Remote controller, easy to use 6 different static mode and dynamic color changing mode. You can also adjust the color brightness what you wanted. Very elegant when they are used in water. The submersible LED light is excellent lighting for any devices and makes your devices full of beautiful colors. You can choose 16 different colors and four kinds of color models by using the 24 key remote.